Joshua Jacobs founded TGA Premier Junior Golf in 2003. Joshua was named by Golf Magazine and Sports Illustrated in 2010 as one of the Top 40 most influential people in golf under 40 and in 2013 was recognized as one of golf’s “Innovators” by Golf Inc. Joshua created the first scalable business model for school based golf programs in 2003 in the Los Angeles area and franchised the youth development and business concept in 2006. In 2010, he created the TGA Sports Foundation, dedicated to Developing Youth through Athletics. 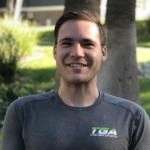 In 2011, Joshua orchestrated TGA’s horizontal move into the tennis industry by franchising TGA’s school based business model and facilitating a National Partnership with the United States Tennis Association (USTA) in the same year. In addition to TGA, Joshua co-founded a social golf network called GLinks and has been serving his community since 9th grade coaching youth sports programs in Los Angeles and Atlanta. He currently serves on the PGA Golf 2.0’s National Building Blocks Committee, TGA Sports Foundation’s Board of Directors, the Southern California PGA’s Foundation Advisory Committee and the Southern California PGA’s Growth of the Game Committee. Joshua Graduated from Emory University with a degree in Economics and Business and a minor in History. His passion for golf began at three years old and tennis at six. From those early years, Joshua’s love and respect for sports continues to drive him to break down barriers and open doors for all students ages 3-13 to have the opportunity to learn golf and tennis. 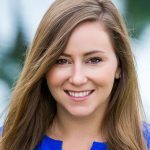 LeeAnn joined the TGA team in January of 2010 as the Marketing Coordinator and has grown with the company over the years. LeeAnn is currently the Marketing Director, overseeing all aspects of consumer and franchise marketing with a specific focus on implementing technology systems and features to improve efficiency and effectiveness of franchisee marketing efforts. A native of Boston, MA, LeeAnn graduated from Boston University in 2007 with a degree in Communication and concentrations in Advertising and Graphic Design. From a young age, she had creative and leadership aspirations that she expressed through art, dance and sports. 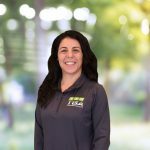 LeeAnn can attest to the many positive benefits and lessons that sports have provided throughout her life and loves that she can utilize her role at TGA to influence more girls to get involved in sports. LeeAnn currently lives in Los Angeles, CA and enjoys playing sports, hiking, traveling and making the most out of the SoCal weather and lifestyle. 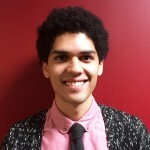 Before joining TGA in August 2016, Robin lived in Liverpool, UK, where he devoted his time to working with many nonprofit organizations in delivering community sports and music events while earning a Business degree from Liverpool John Moores University. Sports, in particular soccer, have been part of Robin’s life since he was young. He transitioned from a successful playing career into a position coaching. Robin is excited to use his experience working with Barclays Bank PLC and the UK Government to support and expand TGA’s position in the market. He is committed to building and delivering programs he would be proud to send his own children to. Born in Los Angeles but raised in Las Vegas, his love of sports started young, as he played little league baseball, youth soccer, neighborhood basketball, and participated in yearly golf and tennis summer camps. Jordan returned to Los Angeles to attend Loyola Marymount University, where he received a Bachelor’s degree in Marketing. Jordan is excited to use his degree to help TGA impact the lives of more children around the world. Cary joined the TGA family in September 2016 as the new graphic designer and creative Swiss army knife. His role is centered around supporting and developing the Marketing Department with various creative projects. Born and raised in Los Angeles, Cary was surrounded by the art, technology, and entertainment industries from an early age.Those influences would become the foundation for his never-ceasing passion and dedication for everything art and software related. This would eventually lead him to earn a Bachelor’s Degree from San Diego State University in Applied Arts and Sciences. Cary is enthusiastic to share and grow his skills to help TGA make positive contributions to the futures of children everywhere. Jamie joined the TGA team in February 2011 as a part time bookkeeper and grown into her current role as the Controller as TGA has blossomed. Born and raised in West Los Angeles, her love of sports started at a young age as a spectator and she found her athletic niche in sports as an adult in ice hockey and even competed on a national level. Jamie attended the University of California Irvine and graduated with Bachelor of Science degree in Mathematics and Statistics. Jamie is excited to help TGA continue to grow and reach new communities and touch more lives. TGA launched its first Golf Enrichment Programs at six Los Angeles schools. TGA’s focus was to provide PK – 8th grade students with an opportunity to learn golf through an innovative 5-level after-school program. This program made golf affordable and accessible for children, and received an overwhelmingly positive response from schools, parents and students. TGA expanded its programs within Los Angeles area schools to accommodate the demands from students and parents who wanted a golf program within the safe, convenient environment of their schools. The curriculum also provided transition for students to go from their schools to programs at the golf course. TGA’s first camps and clinics were offered at golf courses. TGA also incorporated the expansion of physical fitness and education components as well as adding a character development initiative within its school programs. Golf professionals along with entrepreneurs began expressing their interest in the unique sustainable and scalable model of TGA. 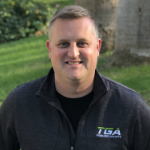 By the end of 2006, after three years of honing and improving the TGA business model and curriculums, TGA began offering geographically exclusive franchises which became the TGA Premier Junior Golf Program now running throughout the United States. The USGA approved TGA’s curriculum under the rules of amateur status and TGA became National Partners with the After School Alliance and the President’s Council on Physical Fitness. TGA achieved its first ranking in Entrepreneur’s Franchise 500, and won two industry awards for Business Achievement and Player Development. Golf Magazine named TGA’s CEO, Joshua Jacobs to Golf’s 40 Under 40 list. TGA was named as one of 10 Best Franchise Deals around the world by Entrepreneur, along with jumping 131 spots in Entrepreneur’s Franchise 500 ranking from #450 to #319. TGA was also termed the 4th best youth fitness franchise. TGA also formed the 501c3 TGA Sports Foundation, to be able to apply for grants and funding to serve under-resourced areas as well as mentally and physically disabled youth. TGA gained its 50th franchise along with having seven multiple franchise owners across the country. TGA also branched out into the sport of tennis, signing a National Partnership with the United States Tennis Association (USTA). TGA’s model is now being offered in both the golf and tennis industries and is known as a leading initiative to grow both sports while providing small business ownership and job opportunities. The TGA / USTA proprietary Enrichment Curriculum is solely used by TGA Franchises within schools. TGA works with USTA National along with USTA Sections, Districts and CTA’s to complete the Player Pathway and help feed the USTA’s adult and junior initiatives to grow the sport. TGA signs its first tennis franchise. TGA’s Youth Sports Franchise model is now one of the fastest at growing junior golf and youth tennis participation amongst 3-13 year olds. TGA’s motto is to Keep Swinging!® and we strive to provide all youth with the opportunity to learn golf and tennis in a fun and educational environment. TGA launches a third franchise opportunity that includes 6 team-based sports: cheerleading, flag football, floor hockey, lacrosse, ultimate, and volleyball. TGA celebrates its 15th anniversary and impacting over 775,000 children through sports programs across the U.S. and Canada.